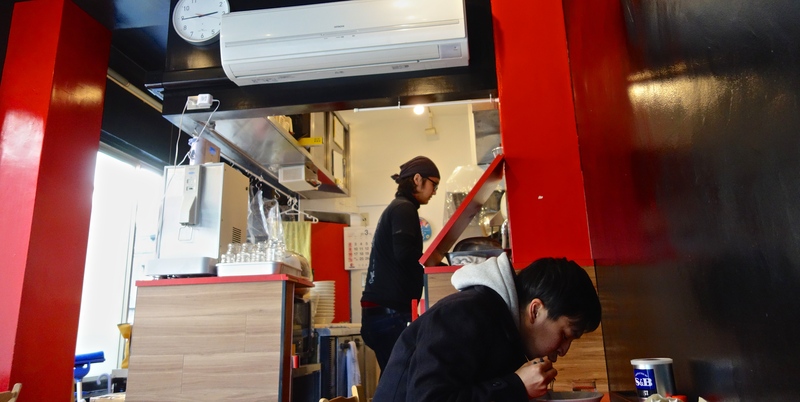 There’s comfort in these noodles at Jikaseimen Ito, or Homemade Noodle Ito, on Asakusa Dori in Komagata. 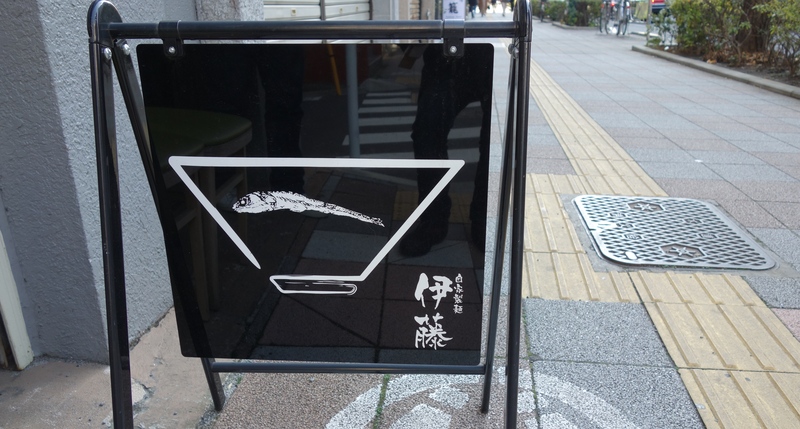 The specialty is the stock, made from niboshi – dried sardines – with chicken and pork bones as well. The soup is thick, a muddy green, a little foamy on top, not fatty, mineral rich. You order the roast pork too, as the standard noodle comes without meat. 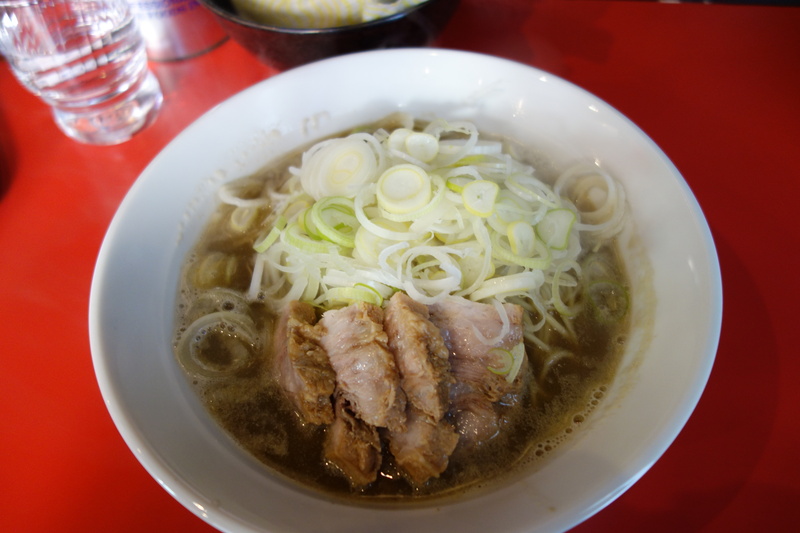 The additional topping is 150-yen for big generous slabs of cha-shu belly pork. Extremely good. Get an extra garnish of negi scallions, for a bit of zing. The noodles are almost perfect: hard, straight and wheaty, not the jelly type you find in most ramen shops. The soup tastes clean, deep and rich, maybe even too healthy for your classic, uber-caloric comfort food. Maybe that’s why you scarf down the salty, quivering, fall-apart pork. 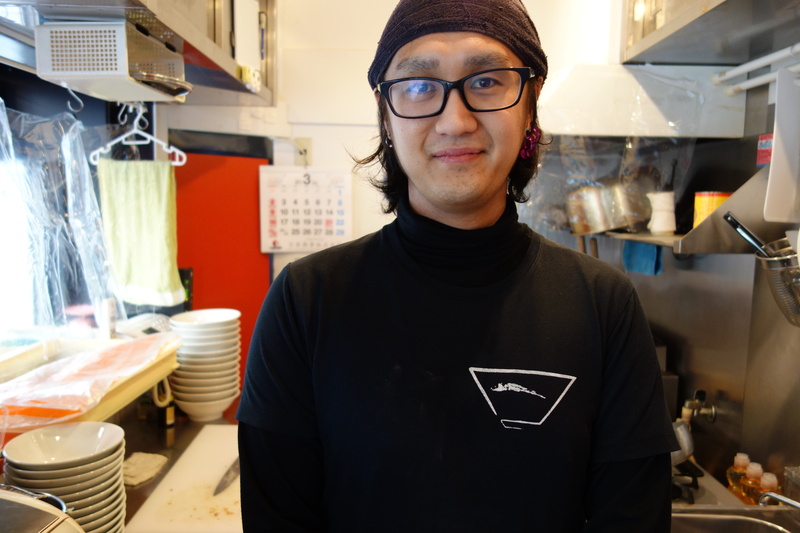 Doro-doro – muddy – soups are in fashion, says chef Yuuki Arisaka after he brings out your dish. And so is niboshi. Look. He pulls out a couple of magazines from the rack by the door and flicks to some features about ramen. Look, here and here, they’re all niboshi soups, he says. You’d say he’s on a winner, though he’s only the manager, with the boss back in the main store across town in Akabane. They opened here three years ago. They just opened another store this February, in Ginza. To come to work, Arisaka commutes from Gunma Prefecture. It’s only an hour-fifty each way, he says cheerfully. You want to talk some more but suddenly he stops you, he looks alarmed. Talk about dedicated! He wants to run his own place one day, in Gunma. Tokyo is too crowded, I get tired. In Gunma I have family, and hot spring baths. You want to talk some more but suddenly he stops you, he looks alarmed. He says, Your noodles are soaking up the soup! They’ll stretch! Let us talk later. He disappears back to his tiny kitchen. You must eat.